“Farming and food processing businesses remain the driving force of our rural economy. Our emphasis is on competing on quality, strong branding and adding value through local processing. We, therefore, need to preserve consumer confidence and maintain our focus on a clean, green, natural environment. By having the ability to control what is grown in Wales we can have confidence in preserving these values. I have therefore acted now to ban the eight GM varieties from being grown in Wales that are either approved or about to be approved for cultivation in the EU. Meanwhile, in the US, Food Democracy Now has reported that the Senate Agriculture Committee has scheduled a hearing less than three weeks away — on Wed. Oct 21st, to try to pass its version of the DARK ACT, 1599. The House passed the DARK act in July; the act outlaws states’ rights to label GMOs. 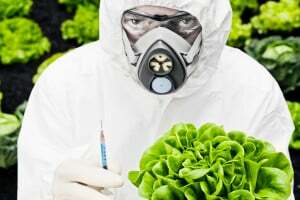 Forget bans in the US, we can’t even get correct labeling, thanks to Monsanto! With the string of EU Countries banning GMOs, soon we’ll have to report on the stragglers who haven’t banned genetically modified organisms.